Brightly decorated pumpkins, hayrides around town and a pie eating contest were just a few elements of last weekend's Harvest Festival, during which Estacada residents came together to celebrate the fall season. The event, organized by the Estacada Development Association, took place Saturday, Sept. 30, at Harvest Market Square. Community members in attendance banded together for several activities, including a chili cook-off and a pie-eating contest. 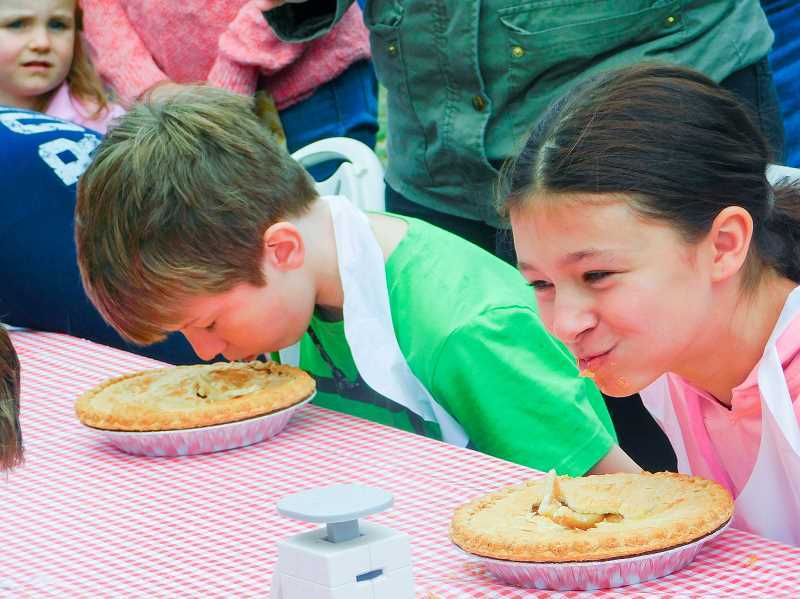 For the latter, participants were each given an entire apple pie and strived to consume as much of it as possible using only their mouths, all within the span of a minute. Younger children enjoyed face painting, balloon animals, carnival games and pumpkin decorating. In spite of the crisp fall weather, Estacada Middle School Principal Ben Hargrave and Clackamas River Elementary School Principal Amy Hudson braved the event's dunk tank, allowing their students and other eager participants to submerge them in water if they successfully hit the target. The event also featured a variety of vendors, including Clackamas River Growlers, The Mason Jar, 2 Broke Mama's, Wright's Nursery, Fires and Knives BBQ and Papa Lee's Kettle Corn. "The best part of (today) is the crowd, and the community," said Joyce Wright of Wright's Nursery. Throughout the afternoon, bands like Rick & Barb & Friends offered live music. 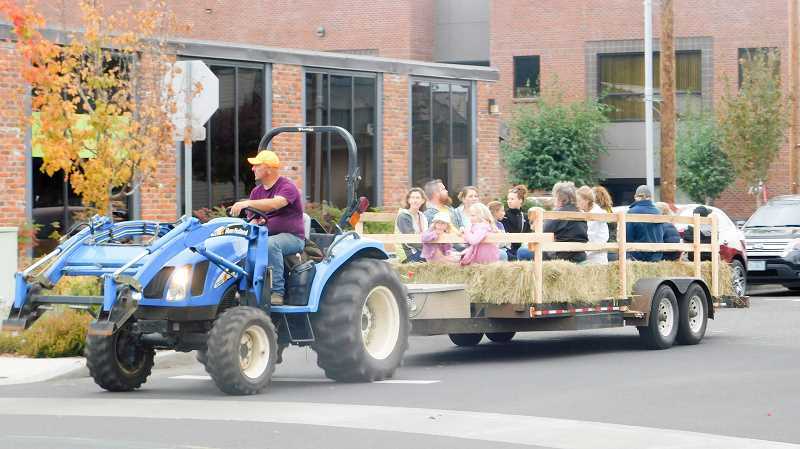 In a previous interview, Nancy Hoffman of the Estacada Development Association said she hoped the Harvest Festival would allow participants to cultivate memories in downtown Estacada. "Memories that people create in their downtown create a sense of belonging," she said. 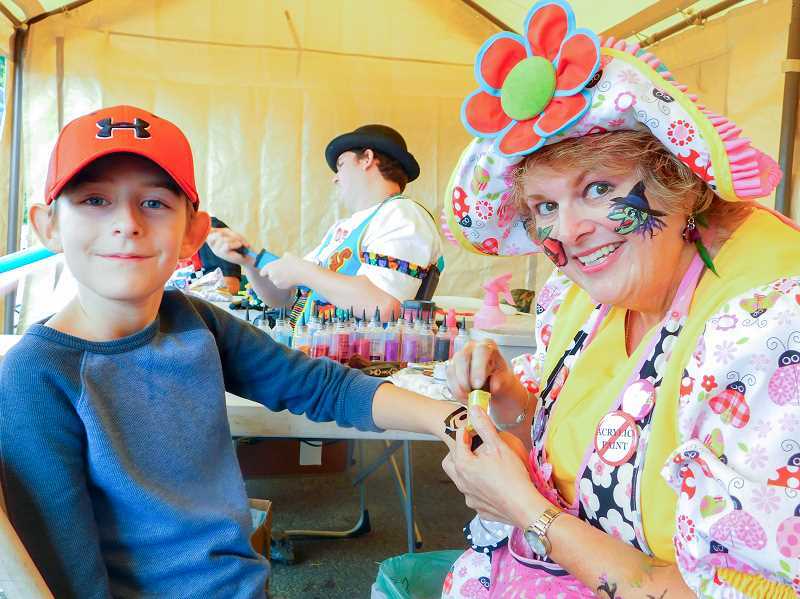 Many Harvest Festival attendees appreciated the friendly atmosphere of the event. "It's nice to see all the families having a good time together," said Bob Ellert, as he browsed wares from vendors with his daughter Addison. "It's refreshing to see people enjoying themselves together, with pumpkins and brisk air. This is what we look forward to each fall."